JNN 01 May 2015 Tehran: After conversion to Islam, the German newly-Muslim lady introduced the love and affection toward Imams (A.S.) as the source of her calmness. This German lady who has got an Iranian originality converted to Islam on the night of Imam Hadi’s martyrdom. 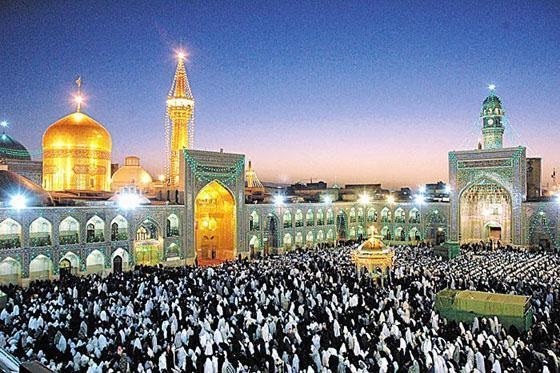 It should be noted that some cultural packages including books and Qur’an in German were offered to her by the Office of Non-Iranian Pilgrims of Astan Quds Razavi. This entry was posted in Europe and tagged German, Islam, Muslim. Bookmark the permalink. MUBARAK AND THAT TOO FOR EMBRACING REALISLAZM . GERMANS ARE HIGHLY INTELLIGENT .